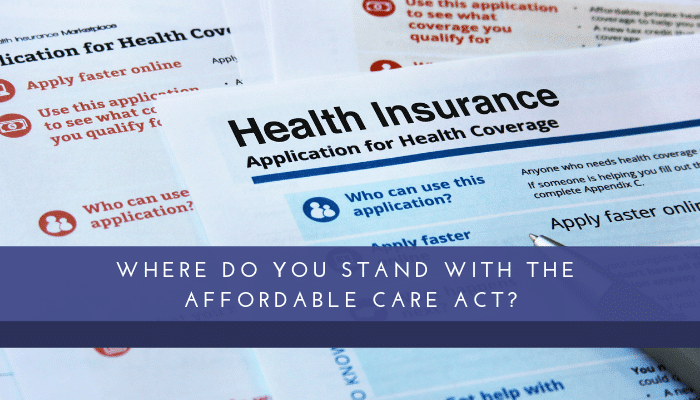 Where Do You Stand with the ACA? Not complying with the Affordable Care Act, also known as Obamacare, could cost your organization millions of dollars. Being prepared is critical to avoid these penalties that are currently being issued by the IRS, some of them for millions of dollars. Since November 2017, the IRS has been sending Letter 226J penalty notices to certain larger employers the IRS believed to fail to comply with the requirements of the Employer Mandate under the Affordable Care Act (ACA) for the 2015 tax year. To date, the IRS has issued more than 30,000 of these notices proposing penalty assessments totaling over $4.4 billion for the 2015 tax year alone. These are only a portion of the 49,200 employers at risk of being issued penalty assessments. A report from the Congressional Budget Office has stated these penalty assessments could total up to $12 billion in 2018. Under the ACA’s Employer Mandate, Applicable Large Employers (ALEs), organizations with 50 or more full-time employees and full-time equivalent employees, are required to offer minimum essential coverage to at least 95% of their full-time workforce (and their dependents) whereby such coverage meets minimum value and is affordable for the employee or be subject to IRS 4980H penalties. Restaurants are particularly susceptible to receiving these ACA penalties. ACA compliance can be particularly challenging for companies that have a mix of full-time and part-time employees and multiple storefronts. Many payroll and software vendors who help restaurants with ACA compliance rely on software into which restaurant staff input information required for ACA compliance. Often, these software solutions have default settings that can trigger issuance of Letter 226J. For example, if you don’t identify the full-time or part-time status of each employee in your payroll system, the system defaults to full time, thereby inflating the number of 1095-Cs to be issued, potentially providing an inaccurate count of full-time employees. If termination dates are inputted incorrectly, this can provide incorrect information on when employee health insurance offers were made. If you do receive a Letter 226J notice, you typically need to respond within 30 days from the date the letter was issued. Some restaurants find the process of responding to IRS Letter 226J too complicated or labor intensive because of the legwork involved in gathering documentation and reviewing data for accuracy. Outside experts can efficiently organize a response to Letter 226J, saving restaurant owners the use of staff resources, time and money. Often, these outside experts know how to reduce or eliminate these penalties. You might also consider undertaking a review of your previous ACA filings to determine potential penalty exposure. First Capitol provides a free ACA spot audit that can help restaurants determine if they are at financial risk. If you have not yet filed ACA information with the IRS because you thought the ACA was going to be repealed or that the penalties were not going to be issued, it’s time to rethink that strategy. It’s only a matter of time before the IRS sends that Letter 226J to you in the mail. With the penalties are mounting, now is the time to get caught up with your ACA compliance. Have questions about the ACA or IRS Letter 226J? Please feel free to contact Gregg Kasubuchi of First Capitol Consulting at (213) 355-5108 or at gkasubuchi@fcci.us.com.